September je pri nas mesec praznovanj rojstnih dni. Brez torte seveda ne gre. Ker pa je tudi peka ustvarjanje, le z drugačnimi sestavinami, se z veseljem lotim tovrstnega opravila. I love all the pretty colours on your card. So many embellishments to look at. Thankyou for sharing with us at Crafting from The Heart. hugs ValeryAnne D.T. Mmmm, tortica zgleda zelo okusno. Voščilnica je pa tudi zelo lepa. Tista embosirana obroba ji doda pridih elegance. 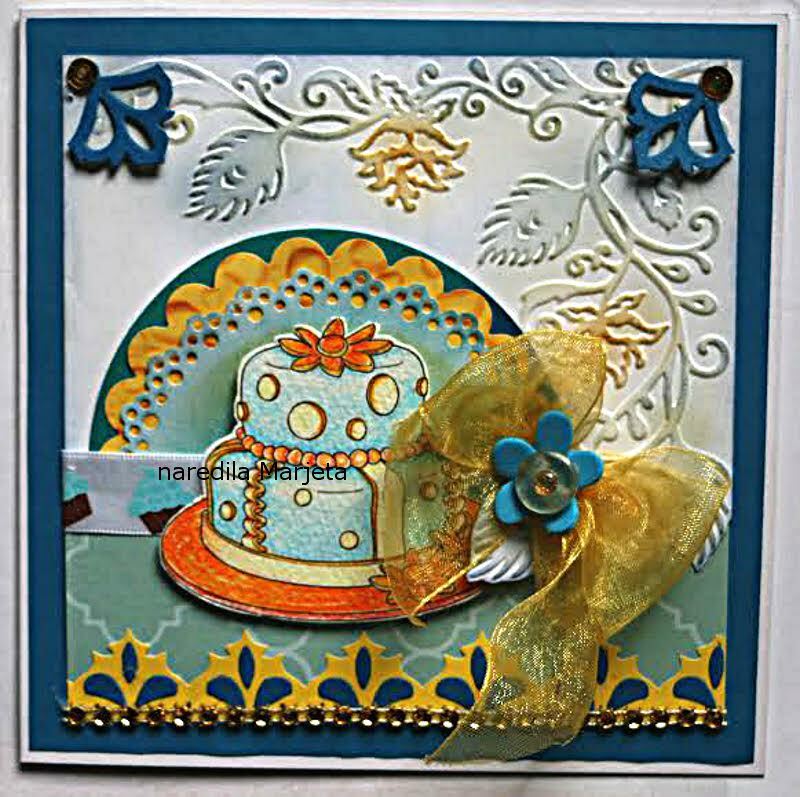 Beautiful creation lovely design and super colours used..
What a gorgeous card! I love the cake and how you coloured it! Great design! Thank you for joining us at TTCRD this week! uau tole pa res zgleda slastno! Hvala ker sodeluješ na izzivu As You Like It. LP M.
Gorgeous card Marjeta! It's so elegant and pretty and the cake looks fabulous too. Thanks for joining our challenge at As You Like It! Gorgeous card and a very yummy looking cake. Lovely work. Thank you for joining the challenge at Creative Fingers. Hope to see you again next time.